The idea of the University of the Third Age (U3A) burst into life in Sheffield early in 1986. 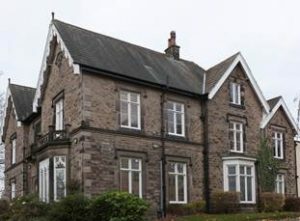 In January an initial meeting was held at Mundella House (below), thanks to the support of Sheffield Polytechnic. This was followed by a public meeting attended by 25 people. By March, 45 had expressed an interest and Groups began to form. A small tree was beginning to take root. The staff at the Polytechnic were very encouraging. They provided accommodation for the Committee and more general meetings. Office facilities were made available for producing literature and for mailing out to members. Bring and Buy sales, coffee mornings and garden parties helped to boost funds. These included a large garden party at the Bishop’s House in Ranmoor. By 1989 there were over 200 SU3A members, with 20 well established Groups. However, it was during the next decade that Sheffield U3A really took off. By 1998 membership reached 1,423. Had SU3A developed too quickly? Where was it going and should there be an imposed limit on its astonishing growth? To some it was too closely confined to the more affluent population areas to the south and west of the city. The time had come to try it out in other areas of Sheffield – “winds of change” were starting to blow. In 1988 Ruth Abel became Publicity Officer. She distributed leaflets across the city and spoke about SU3A to a variety of organisations including Women’s Institutes, retirement homes and Townswomen’s Guilds. On several occasions she broadcast on BBC Radio Sheffield. At a major publicity event in Ecclesall, 215 interested people came along. Afterwards Ruth and her husband Frank were inundated with phone calls from prospective members. There were other public meetings in Crookes and Broomhill; but it was in 1997 that an outstandingly effective open meeting took place at Waterthorpe Library, to the south east of the city. In due course new South East Groups began to appear. This process was nurtured by Barbara Steel who invited them to her home in Waterthorpe. In March 1997 Barbara was elected to the SU3A General Committee and in later years served firstly as General Coordinator and subsequently as Secretary. It was in the autumn of 1999 that a new Committee was formed to create an organisation to the North of the city. This became known as North Sheffield U3A (NSU3A). There was an initial meeting in September at Paces High Green Centre and, afterwards, various Group activities were tried out closer to the city centre. Sadly these were not well supported and shortly into the new century, NSU3A chose to close down. However, all was not lost. In 2008 a fresh outreach project, led by Shelagh Woolliscroft proved to be more fruitful. an account of SU3A’s developments between 1986 and 2001. This was published in 2002.
, and written by Peter Barclay.This was published in the autumn of 2011 and had the advantage of being able to incorporate digital photography and graphic design in its layout. Further documents relating the history of SU3A are deposited in the Sheffield City Archives and Local Studies Library.